One of the infamous Florida queues during the 2012 elections which saw people in African-American voting precincts stay in line for hours – to tire and frustrate them out, I guess – in the UNITED STATES OF AMERICA just to exercise their rights to vote. 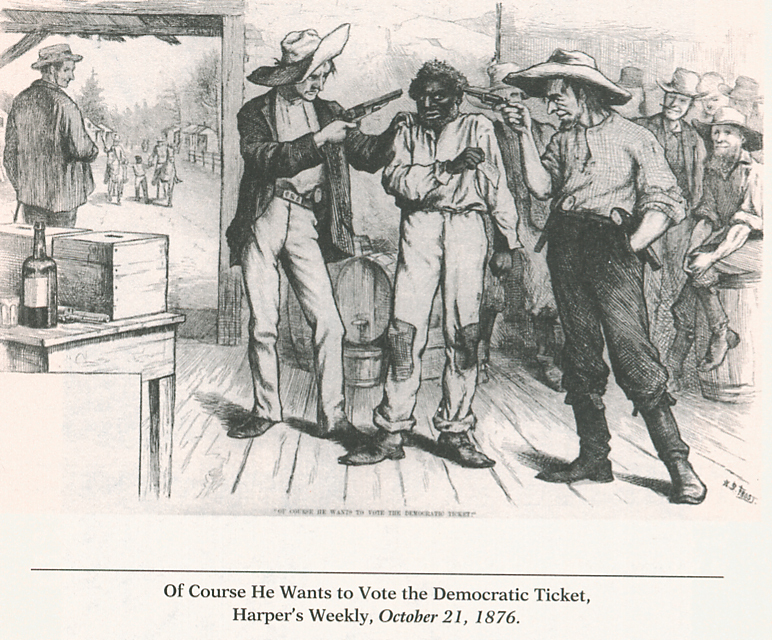 The current tactics to suppress the black vote – a.k.a. 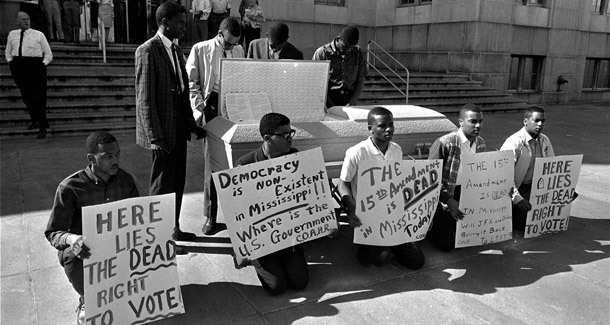 suppression of African-American votes – is not new in good old USA but over fifty years after M.L. King’s immortal words that climaxed the March on Washington – “I have a dream” speech – the disenfranchisement of African-Americans which has claimed the lives of thousands of blacks and many whites who dared participate in voter registration in the South, has waxed stronger. Laws are being enacted by states, especially in the South not only to intimidate African-Americans to vote but are being put in place to prevent them from registering to vote. In America’s political system, the states’ powers cannot be overridden by federal laws. in 2011, for example, Florida shortened the period required to file while for the 2016 general election cycle, photo IDs and such documentations that are difficult to obtain for uneducated African-Americans are being demanded in southern states where the Republican Party generally stands not much chance of winning the black votes. Now, the law of the highest court of the land is effectively on the side of this racist tactic to deny millions of African-Americans a say in Elections 2016. It’s been long in coming: under-counting in population censuses and now, an out-and-out ambushing of a specific racial group. A crowning achievement of the historic March on Washington, where Dr. Martin Luther King gave his “I have a dream” speech, was pushing through the landmark Voting Rights Act of 1965. Recognizing the history of racist attempts to prevent Black people from voting, that federal law forced a number of southern states and districts to adhere to federal guidelines allowing citizens access to the polls.